MUMBAI -- Tata Motors Ltd., the owner of Jaguar Land Rover, reported first-quarter profit that missed analysts' estimates as sales of its passenger cars in India fell and Jaguar deliveries declined. Net income rose to 20 billion rupees ($441 million) in the three months ended June 30, from 19.9 billion rupees a year earlier, according to a statement from the automaker Thursday. This was lower than the median of 21.6 billion rupees of 32 analysts' estimates compiled by Bloomberg. Sales increased to 333.9 billion rupees from 268.8 billion rupees. 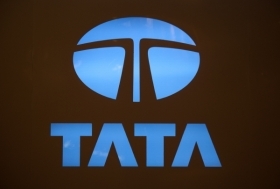 Tata Motors posted an 8.5 percent drop in sales of its passenger cars in India in the quarter as rising interest rates reduced demand in a country where about 80 percent of purchases are funded by loans. Jaguar's sales declined 27 percent in the period as a sparse lineup and a limited presence in China hurt the luxury marque. Tata Motors passenger car sales in India declined to 76,176 units while Jaguar's sales fell to 11,343 cars.